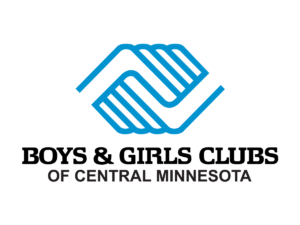 The Boys & Girls Club provides a safe haven for boys and girls when and where they need us most: every day after school and during the summer at three dedicated Club facilities on the North, South and East sides of St. Cloud. The Boys & Girls Club is committed to filling the basic needs of children and youth, and that’s why we provide a daily snack and meal program at each of the three Clubs. Our participation in the State of Minnesota’s Summer Food Service Program and the CACFP during the school year enables us to serve nutritious snacks and meals five days a week for kids, effectively curbing hunger for Club kids in Central Minnesota. We also thank Second Harvest Heartland Food Bank/Feeding America, Jennie-O, and Pilgrims – Home of Gold’n Plump for their significant contributions to this worthwhile program. In 2014, the Boys & Girls Clubs of Central Minnesota embarked on an exciting arts learning journey in partnership with the Wallace Foundation and Boys & Girls Clubs of America. Our organization was one of only three Boys & Girls Clubs in the nation to be selected to participate in the Youth Arts Initiative pilot program and implement the 10 Success Principles for High Quality Arts Programming, based on the Something to Say report. We selected four art forms based on youth feedback, including dance and fashion design at the Eastside Club, and visual arts and digital music and video production at the Southside Club. Professional artists with experience in youth development were hired to launch these programs, using only the 10 Success Principles as a framework for curriculum. 96 to 100% of participants agreed that the professional teaching artists were very good at the art forms they taught. 95 to 100% agreed that the teaching artist expected them to do their best. 86 to 98% reported that studios made them excited about the art. 89 to 97% felt safe in class. Furthermore, RFA found that YAI participants keep going to the Club longer than other Club members, and they attend more often. In fact, 48% of participants had a tenure of more than 2 years at the Club. Youth also reported experiencing opportunities for 21st century skill development frequently in their classes. Clearly, these statistics show that Youth Arts Initiative is making a substantial impact on the youth served – youth who would otherwise be unable to access high quality arts programming in our community, due to many barriers, including financial, transportation, lack of emotional safety, and more. Click here to view the full report from Wallace Foundation, Raising the Barre and Stretching the Canvas. Generation Voice visual arts classes focus on building a strong foundation of 2-D design, drawing, color theory, vocabulary, art history, mixed media, and painting. Courses will end with a culminating event where artists can exhibit their works and practice their vocabulary when interpreting their works to others. Cloud Squad Digital Music& Video program focuses on using current technology to encourage youth to turn their love for music into a hobby or even a potential career in the music industry. Youth will learn to use programs like Garage Band to develop their own beats and produce their own music videos. Eastside Edge Dance Company focuses on creating well-rounded dance artists. Skill development classes consist of warm-ups, technique lessons, phrase-work, and composition activities; with a thoughtful balance between providing dancers with the technical tools of the art form, as well as a structured environment for creative expression. Club Runway fashion design students will learn fashion design industry standards. Some techniques include illustration, draping, pattern-making, and sewing of the garments. We will also learn about different consumer markets and spotting trends with field trips to various department stores and getting to know types of material while shopping. Funding from Wallace Foundation to support Youth Arts Initiative has been on a glide path and is scheduled to end December 31, 2018. We need your support to ensure that our community’s youth continue to have access to high quality arts programming that will build their character and put them on a path to a successful future. We are proud to announce that Mike and Karel Helgeson have issued a $150,000 matching challenge to support Youth Arts Initiative programming from 2019 – 2021. We invite you to join this cause to help young people find their identity through the arts. Please thoughtfully consider a generous gift to help Boys & Girls Club sustain the Youth Arts Initiative. We invite you to tour Youth Arts Initiative programs to see these amazing studios for yourself and to learn more about how the Youth Arts Initiative is transforming lives. Please contact us at club@bgcmn.org or 320-252-7616 for more information. Click here to give online now! For more information about the Youth Arts Initiative or to register your child for arts programming, please contact the Club at 320-252-7616 or Club@bgcmn.org. Summer Hours: Monday – Friday from noon – 6 p.m. for K-12th graders at the three units.